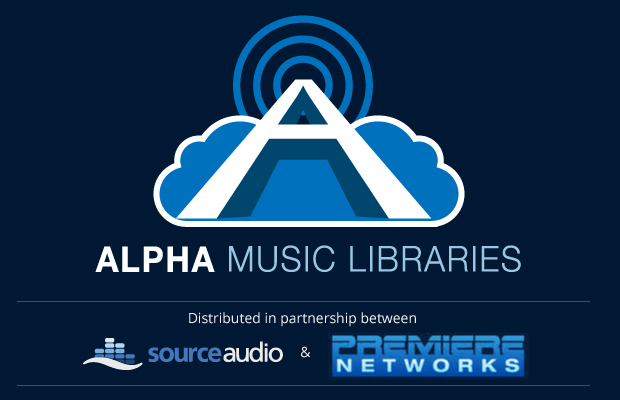 Premiere Networks has partnered with SourceAudio to distribute the "Alpha Music Libraries" to radio, the largest collection of production music libraries ever offered to the radio market. Alpha Music Libraries is a unique, radio-specific search and distribution system on the SourceAudio platform that will offer radio stations access to potentially hundreds of production music libraries, many of which have never been marketed to North American radio before. SourceAudio's cloud-based search and delivery system + Premiere's Affiliate Relations team make selling, deploying, tracking, reporting, collecting, and paying out on radio barter blanket deals easier than ever before. Participation in the Alpha Music Libraries program is open to all member libraries that are on (or planning to be on) SourceAudio's cloud-based delivery system. Non-exclusive or sub-published libraries are not eligible and not all music is perfect for radio, so inclusion in the program will be determined after your application has been completed & submitted and our partners have had a chance to evaluate your content. All libraries included in the Alpha Music Libraries program can expect to achieve more reach and exposure to radio than they ever had before. Best of all, participating libraries who never had the opportunity or infrastructure to trade in the barter business will instantly be able to participate in the barter model and start earning revenue from radio station customers every quarter. Radio stations get the best new music they need for their commercials, promos & other spots, and SourceAudio member libraries have the chance to achieve instant, nationwide exposure to radio station clusters and markets of all sizes. First, make sure you have an active site on the SourceAudio network. Within your Admin Panel, go to the new section on the left called “Programs & Opportunities”. Inside this new section you will see the “Alpha Music Libraries” program details and highlights. Whenever you’re ready to review the agreement, click the “Apply” button to the right. Review the agreement, click the button to agree to the terms of the agreement, and we’ll be notified of your submitted application. Once your music is reviewed by our partners and is deemed useful for radio-specific purposes, we will notify you of your inclusion in the program. It’s really that simple. When Does Alpha Music Libraries Officially Launch? We will be collecting and reviewing applications throughout the month of December. We are simultaneously working with Premiere's excellent marketing and sales teams to finish up all of the materials they'll need to take Alpha Music Libraries to market and begin selling it on January 1, 2014. So get your applications in now and be sure to have your music considered for inclusion in the program. Every library/publisher included gets paid, guaranteed! So what are you waiting for? Check out the details in your Programs & Opportunities section of your Admin Panel and get started today!